Every March 3rd all families with young daughters in Japan pray for happiness and healthy growth of their girls, the special day is called Hinamatsuri (Doll’s Day or Girl’s Festival), they mark this day by setting up a display of dolls (Hina) with peach blossoms inside the house. Learning something new everyday, loved it! 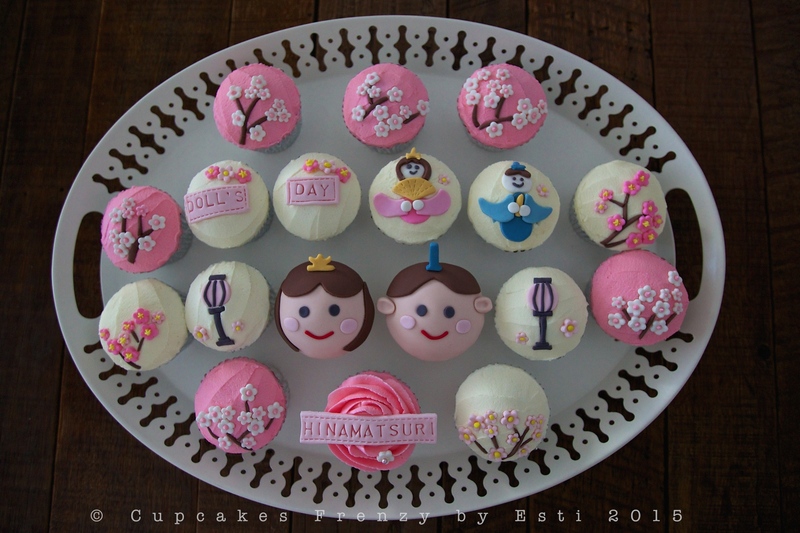 This entry was posted in buttercream, celebration, favorite, note from the baker and tagged baked from scratch, celebration, dolls day, edible art, emperor, empress, Gift Ideas, hinamatsuri cupcake, Manila, oreo cupcakes, peach blossoms cupcake. Bookmark the permalink.